Yara Shahidi finally announced that she will be taking her intellectual talents to Harvard University in the fall which means she will join the former First Daughter of the United States, Malia Obama on the same campus. The announcement came just one day before the Black-ish actress walked the stage to receive her high school diploma and we couldn’t be happier for the 17-year-old. Since they will both be attending the illustrious Ivy League, there is a strong case their paths will cross and that definitely needs to happen because they should totally be the best of friends! 1. Michelle Obama wrote Yara’s college recommendation letter. As if Yara couldn’t get into any school she wanted, the actress had a hand written letter of recommendation from former First Lady Michelle Obama who just so happens to be Malia’s mom. Coincedence? We think not! 2. Black-ish is the Obama’s favorite show. While in the White House, The Obama family bonded while watching the hit ABC series, Black-ish. Shahidi happens to star in the show as Zoey, the eldest daughter of Andre (Anthony Anderson) and Rainbow (Tracee Ellis Ross) Johnson. We bet Yara can share with Malia all the behind-the-scenes stories we’re dying to hear. 3. They are both dedicated to pursuing their passions. Yara and Malia both come from great families who pride themselves on the pursuit of a higher education. Malia has taken a keen liking to filmmaking, having interned with Harvey Weinstein and worked on the set of HBO’s Girls where she received glowing feedback for her hardwork. During a panel discussion with Mrs. Obama last fall for Glamour, Yara shared that she considers following in the former FLOTUS’ footsteps and majoring in sociology. 4. Their dorm room would be lit. Imagine it, Malia and Yara meet at freshmen orientation, they instantly take a liking to each other, become roommates, build a solid friendship, graduate and then take over the world! They’d have dance parties to Beyoncé and Rihanna, trade readings of James Baldwin and Maya Angelou, have Netflix marathons with the most delicious (and nutrious) snacks ever and they’d be the best motivation for each other ever. We like the sounds of that! 5. Black Twitter is thrilled about the idea. 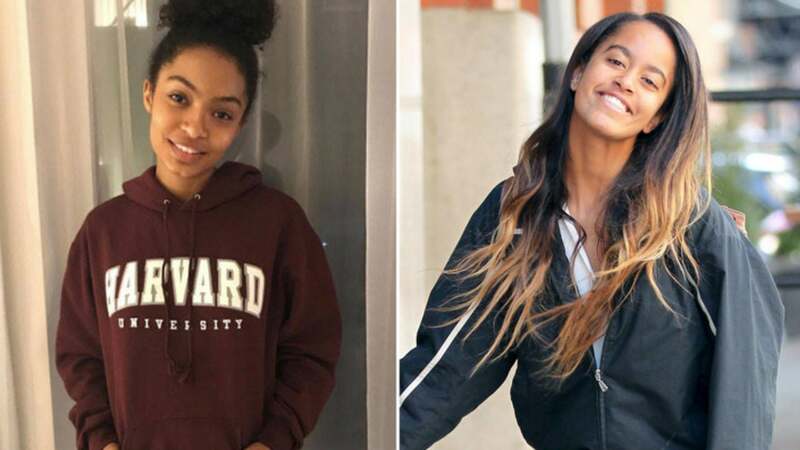 After Yara’s college decision was announced, Twitter connected the dots that she and Malia will call the university home for the next four years. Here’s to hoping Malia and Yara will unite their Black Girl Magic and take over the Harvard campus with their brains, beauty and excellence!